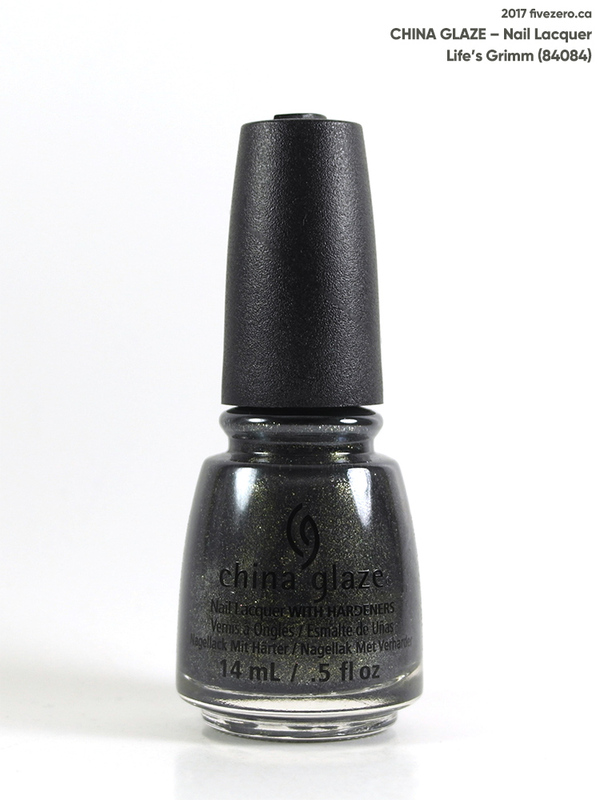 Life’s Grimm (84084) is a blackened pewter olive with a charcoal base and plenty of antiqued green-gold shimmer. The Grimm fairy tales are, of course, quite terrifying in their original, un-Disney-fied forms, and make a perfect Halloween theme. Grimm fairy tale illustrations by Arthur Rackham. The polish is a blackened pewter olive with a charcoal base and plenty of antiqued green-gold shimmer. 2017-10-27 EDIT: I’ve layered Queen, Please! over Crown for Whatever, and added the swatch photos at the end of this review. Worth it. 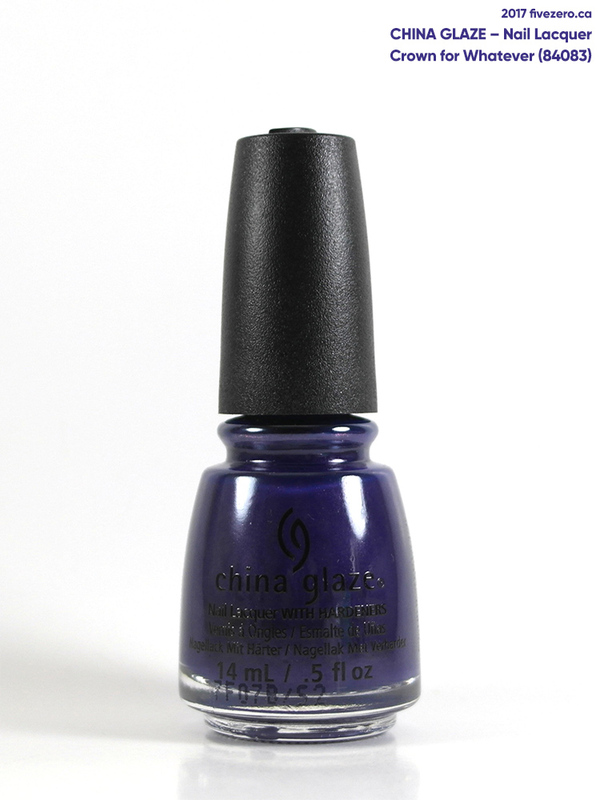 This is another stunner from China Glaze’s recently released Halloween-themed collection. I’ve previously reviewed Sin-derella, which is drop dead gorgeous. Queen, Please! 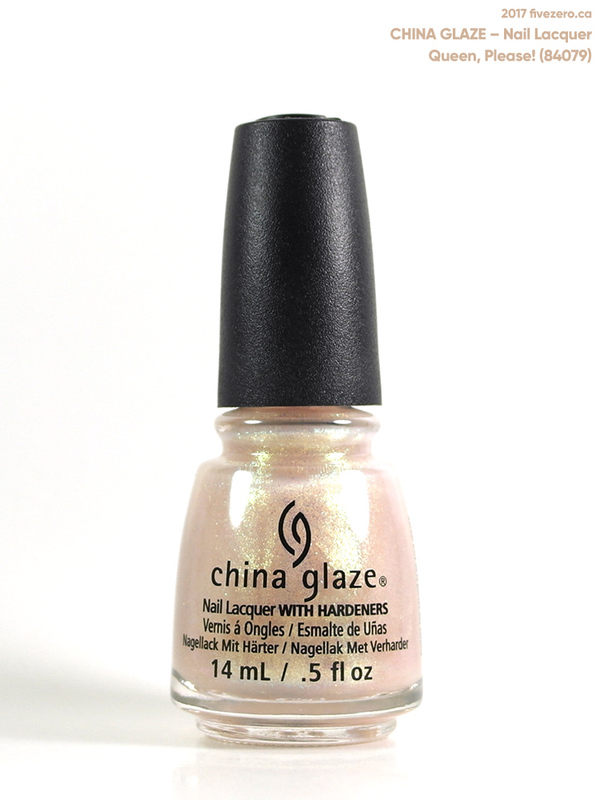 (84079) is a sheer but extremely shimmery, pale pinked champagne microglitter with a golden mint flash. China Glaze’s devilishly clever Halloween 2017 collection is named Happily Never After, with a spooky fairy tale theme. OK, that copy is a little less clever. Oh well. But I think it’s so refreshing to have a Halloween collection that isn’t all orange, green, and black!